A low budget film that intentionally delivers more laughs than scares, though you’d never know it from the notorious box art. Todd is a big Jim Wynorski fan, and recommends this movie as a gateway into his cornball, highly entertaining earlier films, straight from Roger Corman’s shop. 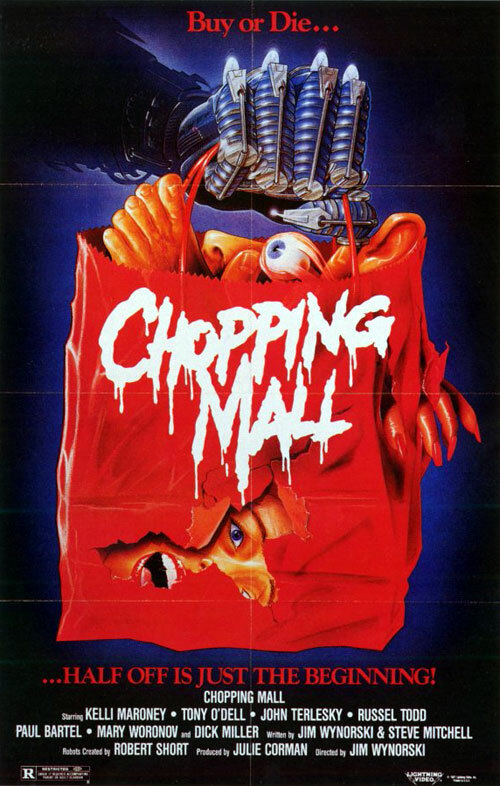 This entry was posted in and tagged chopping mall, comedy, Horror, jim wynorski, podcast, roger corman. Bookmark the permalink.